For thousands of years, the Bernese Mountain Dog was used as a general-purpose dog. This subspecies is a large breed originating from the Swiss Alps. Friendly, loyal, and affectionate, it was originally kept as a general farm dog. In their native land, they are known as the Berner Sennenhund. The dogs have helped farmers protect and move herds of cattle and pull milk carts from farm to market. They are tough and sturdy with a distinctive tri-colored coat. You could say they are the ideal combination of robust and cuddly. Bernese Mountain Dogs are known to weigh between 70 and 110 pounds and, as such, require good quality protein in their diet. Both Bernese Mountain Dog puppies and adults are to be fed relatively low protein food that is about 18% to 26% and less than 16% of fat content. As stated by the National Research Council of the National Academies, a fully-grown Bernese Mountain Dog that weighs about 100 pounds requires an average daily intake of 2206 calories while growing Bernese puppies weighing about 60 pounds requires about 1671 calories per day. However, it is important to keep in mind that dogs that have been spayed or that are older may require fewer calories. It basically depends on their level of activity and individual metabolism. For instance, growing puppies consume more calories than adult dogs. You should take note of the fact that this breed requires enough protein in their diet to support their lean muscle mass with little fat content in order to prevent an unhealthy weight. Whether commercially prepared or homemade with your vet's approval, the Bernese Mountain Dog responds well to dog food of high quality. The Bernese Mountain Dog has a double coat consisting of a longer outer coat and a woolly undercoat. Like most dog breeds, the Bernese Mountain Dog is a shedder and molt moderately all year and heavily during the shedding season which occurs twice in a year. Brushing your dog’s fur weekly and finding time to brush every day during the shedding season will help to remove loose or stray hair. This will keep you from having to come home to meet strands of hair scattered around the house. It also helps keep your dog looking good. Tangles can be loosened with a slicker brush or metal comb and periodic bathing several times a week helps to maintain a neat appearance. As for nails, they should be trimmed regularly. If you can hear them clicking on the floor, it means they are too long and need to be trimmed because long nails can cause the dog pain and other problems. 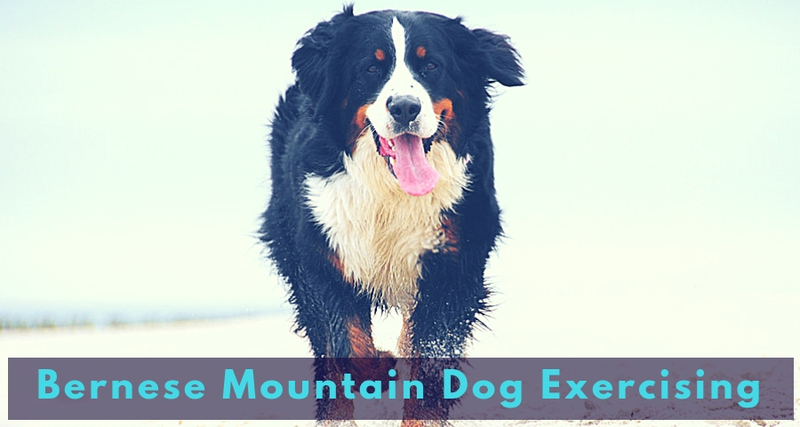 What Type of Exercise Do Bernese Mountain Dogs Need? Bernese Mountain Dogs need daily moderate exercise of at least 30 minutes to stay healthy, happy, and active. While it is true that they are affectionate by nature and are meant to live with the family indoors, they actually enjoy outdoor activities. However, due to their large size and thick coats, they are prone to heat stroke. For this reason, try to avoid exercising them strenuously in hot weather. Limit their exercise to early mornings or evenings when it is cooler. The Bernese loves exercising during the cold season, as their thick fur of hair keeps them from feeling cold. Activities like romping in the snow, digging holes, and pulling kids are exercises they are more responsive to. Other activities you may want to consider including hiking, digging, jogging, swimming, and so on. 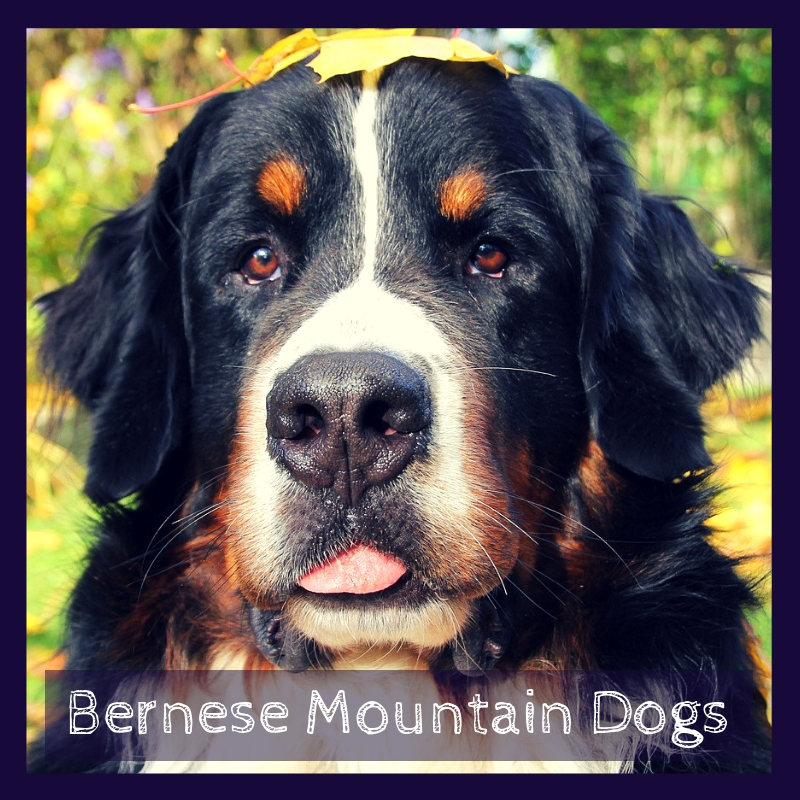 Bernese Mountain Dogs are an intelligent breed and are fast learners but must be given time to process new information. They can be easily trained with the use of positive reinforcement, for instance, by giving them treats or a pat on the head after completion of a task. You can teach your dog all sorts of skills and tricks without overwork brain capacity. They are affectionate and openhearted so they do not respond well to harsh corrections or training methods. Early socialization and exposure to different kinds of people, places, and things are keys to promoting good habits and developing a calm, confident companion. 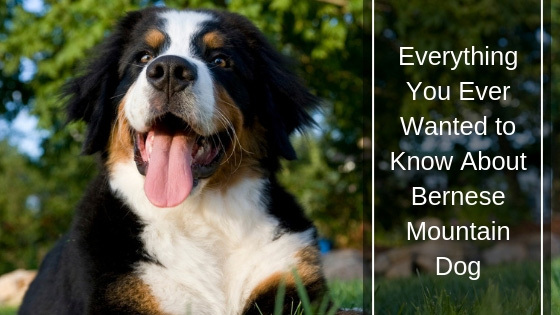 It is important to remember that the Bernese Mountain Dog is a working dog by nature. The dog was originally used to pull carts and protect farms. Thus, they can be trained to do so many farm-related activities. Also, by owning such a large and strong dog, it is important to begin leash training sessions early in their lives. Great Pup For Emotional Support? Yes. Despite the fact that Bernese Mountain Dogs are large and have a relatively muscular build, they are very friendly, affectionate, and hardworking dogs with a gentle temperament, making them great emotional support puppies. They are the ideal combination of robust and cuddly. However, if you travel a lot, you may want to consider another choice of dog for emotional support puppy. In order to keep your dog healthy and free from the above health problems, you should pay careful attention to what your dog eats. Also, proper hygiene will help prevent infections and keep it active. By not overfeeding your dog you will prevent unhealthy weight gain or obesity. Exercise with your dog daily and visit a vet regularly. The Bernese Mountain Dog is a rare breed. It is intelligent, energetic, and full of beauty and love. They are great choices for people in need of canine companionship. Taking care of them is very doable as they possess double coats that should be groomed three times a week.